These days I have far too much makeup for my own good. I had previously kept it in individual bags, one for lipsticks, one for eye shadows, etc, but recently I've found that my cupboard is so messy with makeup items strewn everywhere making it both difficult and annoying to find a certain item when I need it. 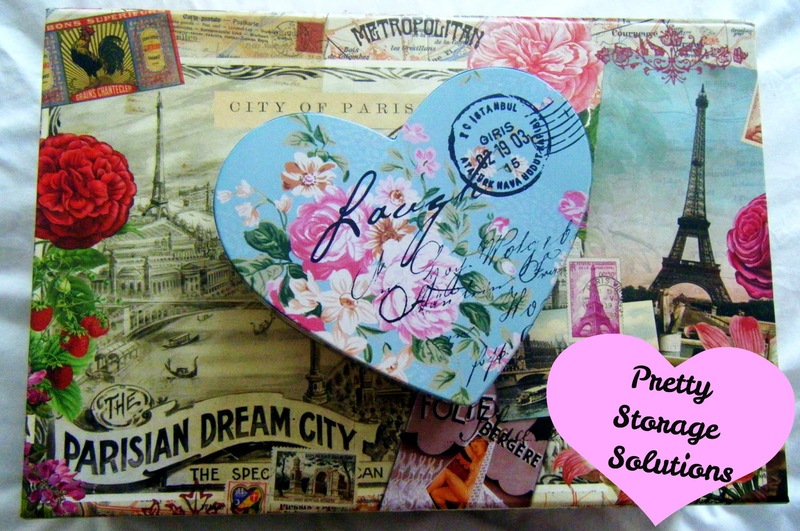 I went on the hunt for a solution and found these beautiful boxes. I love anything that comes with a Parisian or postal theme so it's safe to say that these boxes were 'made for me'. Aren't they pretty? 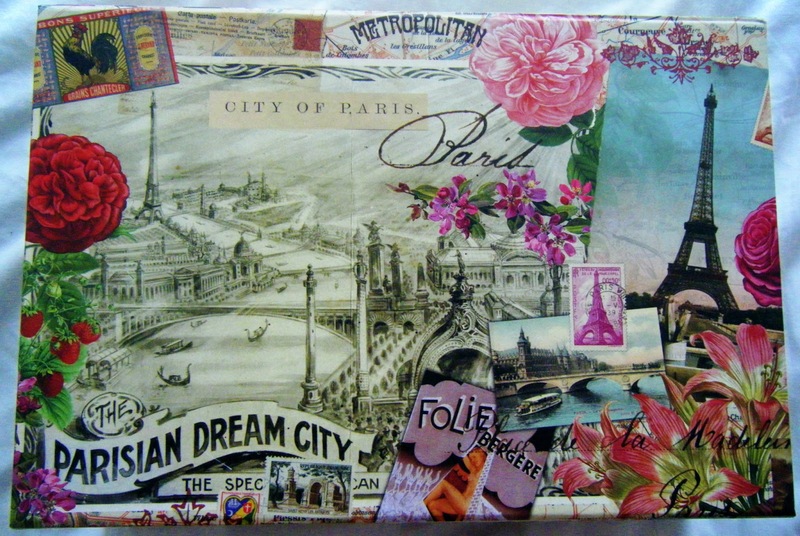 This larger box is decorated with beautiful Parisian motifs and flowers. 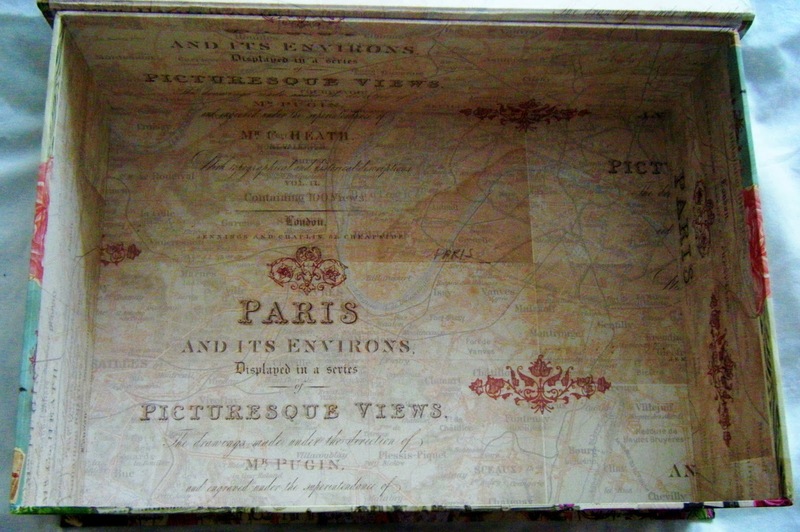 The inside of the box is an old map of Paris. I shall be using this box to store my makeup palettes, eye liners, mascaras, foundations, primers, eye shadows and blushers for everyday use. This box was only €7 from Dunnes. 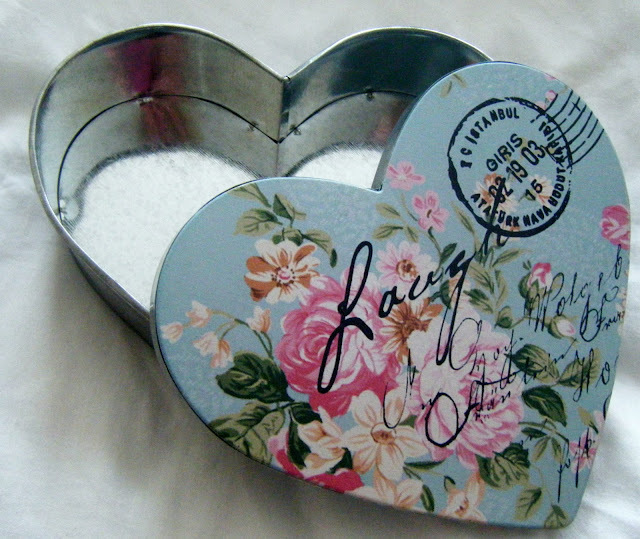 I love this heart shaped tin box. I toyed with the idea of using this for jewellery but I'm going to store my lipsticks in it so they're all in one place and not in different bags or in the bottom of my handbags! This box was only €5, also from Dunnes. 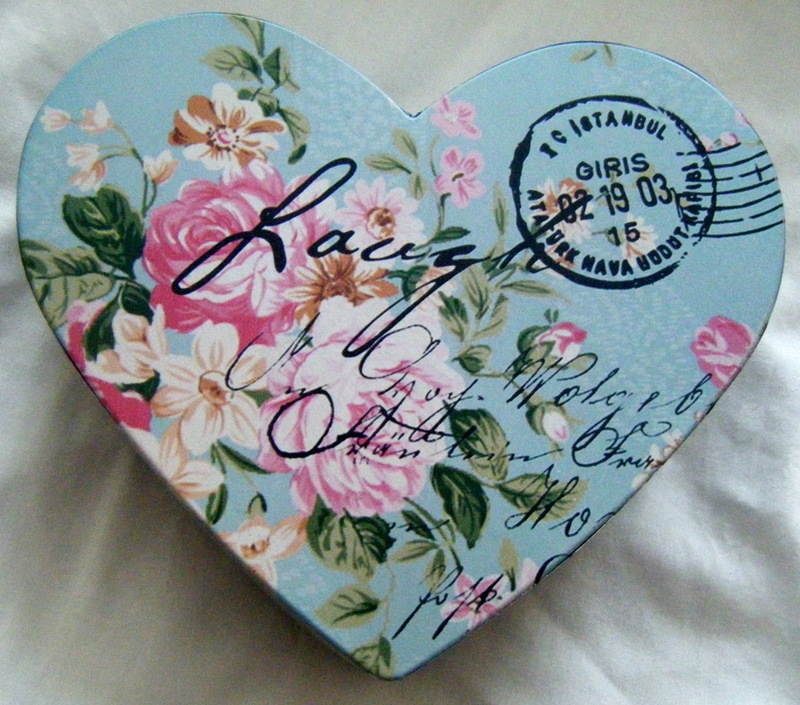 This box was available in different sizes and colours but the blue really caught my eye. 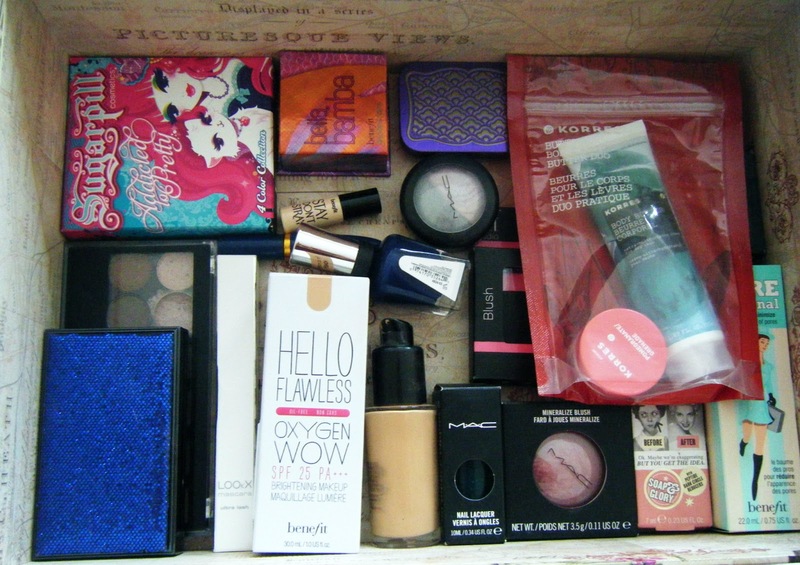 I've already began putting my makeup in the large box and it's so much more convieniant than rummaging around the cupboard looking for something I need. I think I'll be heading back to Dunnes and investing in more of these boxes, they're such great space savers and so pretty. I just love them!